One of the first things I observe about people on innovation teams is their ability to let down their walls and to go somewhere new, to be curious about what’s possible. 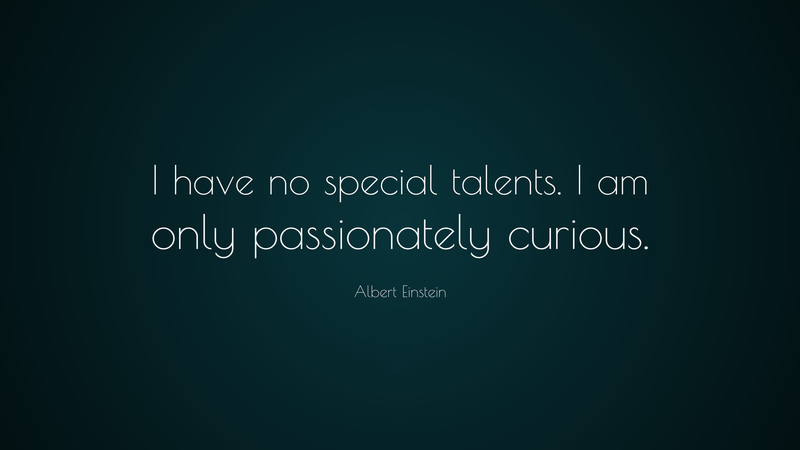 I believe curiosity is a great step towards creating. Curious people go beyond the obvious. They ask questions and more questions. They know there are layers…and reasons why…unspoken truths and interesting perspectives. Asking good questions…asking MORE questions….fuels a curious person’s ability to creatively solve problems, because they have a treasure trove of observations, of different angles from which to attack a challenge. Curious people get LOTS of stimulus. They want the back story? They like to solve problems? They find unique things and people interesting? There are so many more questions I could ask ….and SO many more potential answers to the questions above. Here’s the problem: in the list above I’ve hidden a whole lot of ASSUMPTIONS inside the questions, boxing them in with my biases, my cultural lenses, my history, my ego, my story. Curious people stay open to any answer, ready to receive the unknown, to be delighted by discovery of a different perspective. Curious people don’t need to use leading questions, in order to show how smart they are, that they know the likely answer. Curious people ask great questions, questions that show they are respectful and genuinely interested in the other person, and that they are excited to hear the real answer. Because they ARE genuinely interested. Curious people get fuel from new perspectives, from new pieces to add to their mosaic of the world around them. Dr. Michio Kaku talks about how we are born curious…. then it gets pounded out of us. So….if you want to bring back your curiosity to the cause, here is a simple place to start. Simply ask more “Why?” questions. Instead of getting on your phone, chat up people that you normally wouldn’t. My favorite source of interesting conversations is taxi drivers. The older we get the more we think we know, or should know, the answers. We stop asking so many great open ended questions. It’s by letting our ego fall by the wayside, by recognizing how many assumptions we make, and by being vulnerable enough to ask the seemingly “dumb” questions, that we gain brilliant insight. Asking people about their stories, their perspectives and expertise is not only enriching, it’s great fodder for innovation. It’s all stimuli, when you know how to use it! More about that later… gator!